I’d suggest a drinking game for every time he said it, but drinking games won’t drown him out, however great the exertion. In times like these, those of us who live elsewhere without a vote—those of us cringing in horror— I suggest making up some pastry dough. Roll over that ugly mug. Imagination is free. Here’s a simple and very big league pie, a recipe from my food memoir, with love and sugar (two words clearly unknown to The Donald). *Kidding: This is too tasty a pie for wasting on acrimony. 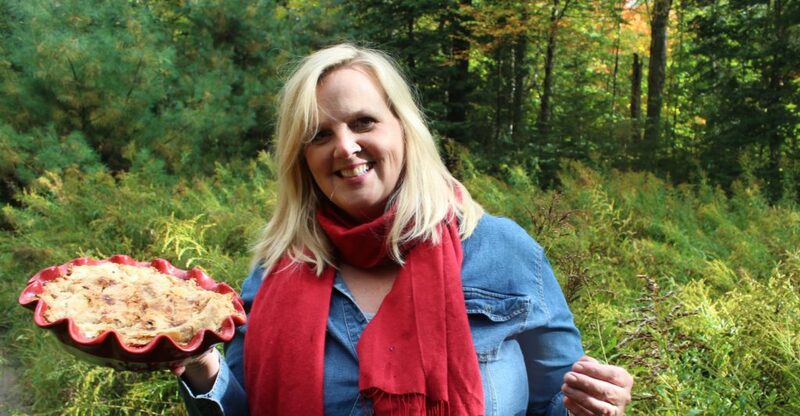 A pie is peace on a plate. 1.Put diced butter in freezer for 15 minutes. 3. Sprinkle ice water over flour mixture and pulse a few times until dough begins to come together: pinch between your fingers to see if it holds. Don’t add too much water or your dough will be tough. 4. Dump dough out onto floured surface and gently bring it together into a disc. Divide into 2 and dust each lightly with flour before wrapping in plastic. Keep chilled for up to 2 days, or at least an hour before rolling. Let it sit out about 10 minutes before rolling if it has chilled overnight. 1. 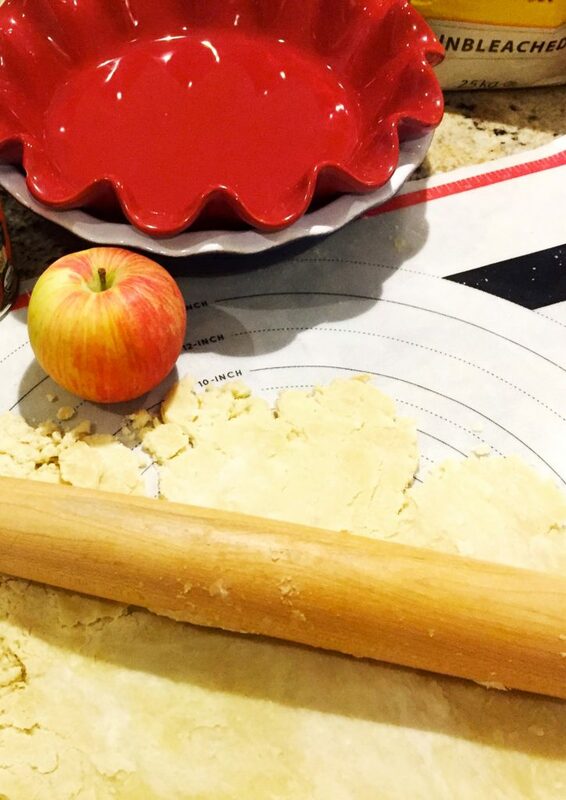 While crust is ready to be rolled, cut up apples into medium size chunks. Don’t slice too thinly or you will end up with applesauce. Toss apples with lemon juice in large bowl. 2. Sprinkle with flour, sugar, cinnamon, and salt. Fold mixture together with spatula. 1.Preheat oven to 425 F. Remove one ball of dough from fridge and roll out with floured rolling pin onto clean surface. I like to use my silicone pastry mat for this. When it is a large enough circle to fit around 9-inch pie plate, gently fold it in half and place in the pie plate, gently opening it up to fit other half in place. Don’t stretch the dough but carefully press into place. 2. Dump in the apple mixture-it should make a nice mound in the centre. 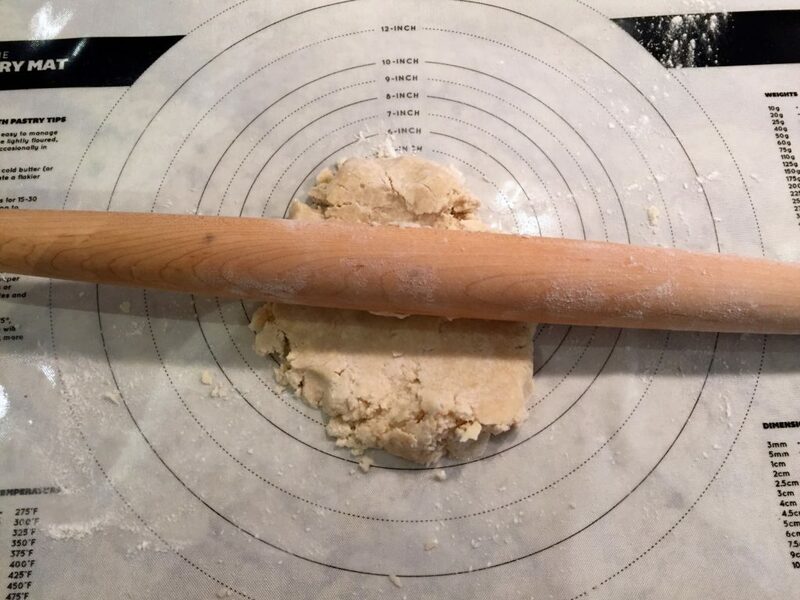 Remove other ball of dough and roll out as the first, making it a slightly larger circle. Carefully lift over apples and pinch together the sides with your fingers to lock in the juice sure to bubble over in one big excited mess. You can try different sealing methods for scalloped edges if you’re into fancy trimming. I just pinch it together. 3. Whisk together egg yolk with 1 tablespoon of water and brush sides and top of pastry with the egg wash. Sprinkle generously with sugar. Cut vents in the centre of top of pastry for steam to escape. 4. Bake for 15 minutes in bottom third of oven. Reduce heat to 350 F and bake for another 40 minutes until filling is bubbling up and pastry is golden. 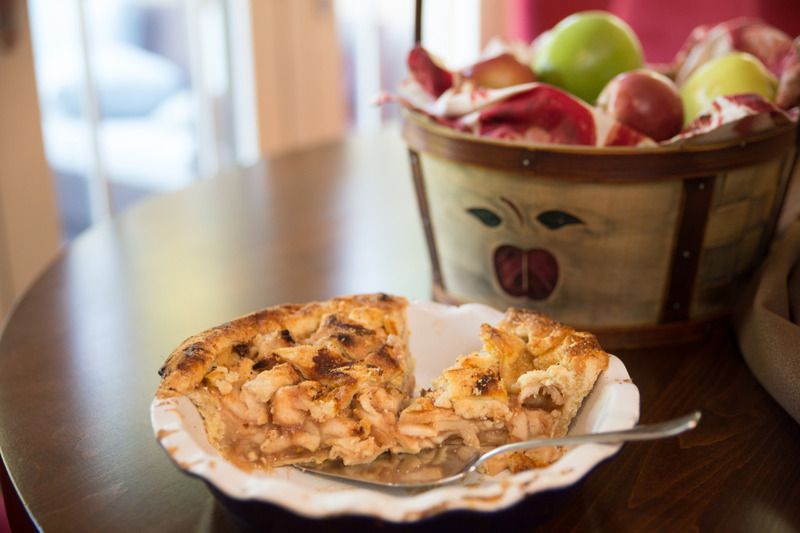 If you’re worried about crust burning, use a pie crust guard or wrap foil around edges. Always let a fruit pie cool on a baking rack for at least 15 minutes before serving. This requires hiding it from pie thieves.